Stage 2 brought major excitement early in the Dakar, thanks to a ding-dong battle amongst the leaders. In the end, however, it was Sebastien Loeb (Peugeot) who posted the fastest time, some 8 seconds faster than MINI’s Nani Roma. 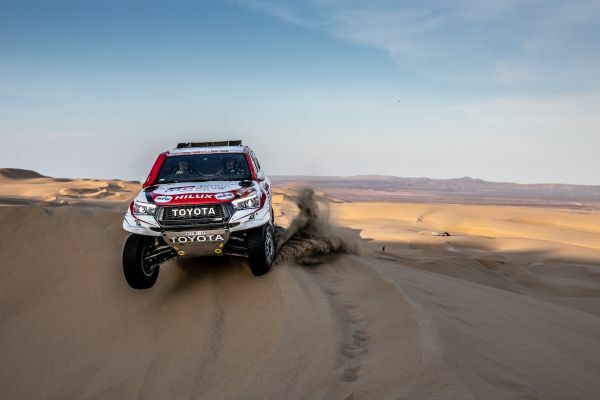 However, the biggest gains were made by Toyota Gazoo Racing SA’s Giniel de Villiers/Dirk von Zitzewitz (302) and Bernhard ten Brinke/Xavier Panseri (309). 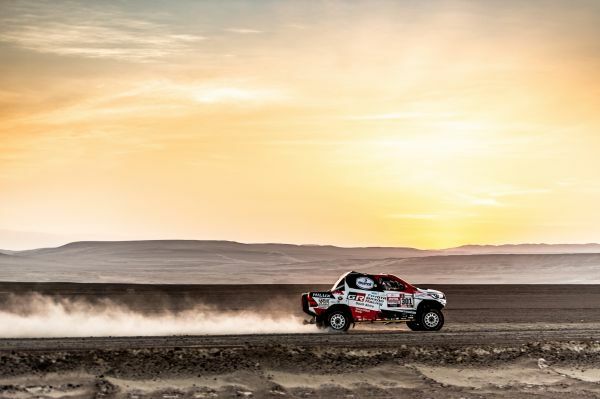 Ten Brinke/Panseri started the day in 8th position, but set about the task of completing the 342 km-long stage between Pisco and San Juan de Marcona with surgical precision. The Dutch driver brought his Toyota Hilux home just 01:20 behind the winner, moving into second position in the overall standings as a result. 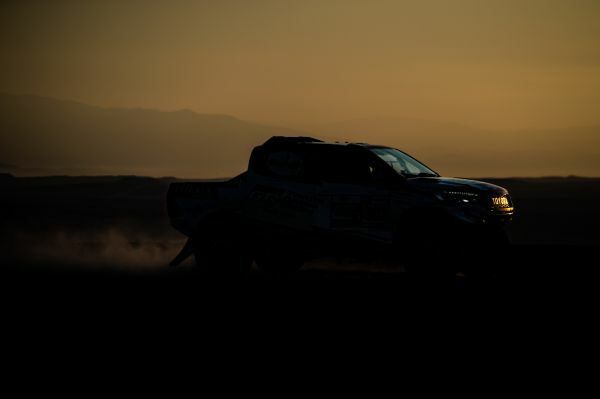 De Villiers/Von Zitzewitz, however, find themselves in the lead of the Dakar Rally after posting the 4th-fastest time on Stage 2, just 11 seconds behind teammates Ten Brinke/Panseri. This, together with their good performance on Stage 1, sees them topping the overall standings, 28 seconds ahead of Ten Brinke/Panseri in second place. Winners of Stage 1, Nasser Al Attiyah and Mathieu Baumel, finished Stage 2 in the tenth-fastest time after having to open the road. This turned out to be extremely tricky in the thick sand and fine dust, and the pair were happy to restrict their time loss to 07:37 on the day. On the flip-side this means they will be the tenth car on the road for Stage 3 – an ideal position from which to attack. With that said, the race is far from over, and anything can still happen. MINI’s Stephane Peterhansel lost the best part of twenty minutes stuck in the dunes today, which will certainly put the multiple former winner on the back foot for the next few stages. Up next is a stage of 331 km in the dunes of Acari, with a total liaison of 460 km. The bivouac at San Juan de Marcona will move southwards to Arequipa for Stage 4. The race will conclude with Stage 10, bringing the crews back to the Peruvian Capital of Lima on January 17th.